Enjoy math hands-on with these 25+ DIY math games for elementary students! Use these to teach fractions, multiplication, addition, and more! Games are some of my favorite ways to learn! They make learning more fun, and some can show the practical side of what students are learning. Here are 25+ math games you can put together in minutes! All are free or low-cost to create, too! Create your own “shop” of jellybeans complete with prices and customers. Watch your little ones add the prices up and if the totals are correct you’ll have a winner! This blog includes many extensions to make the game easier or more difficult depending on the age of your kids. Division and fractions are often used in our everyday lives. Combine the two with these free five Bingo cards. 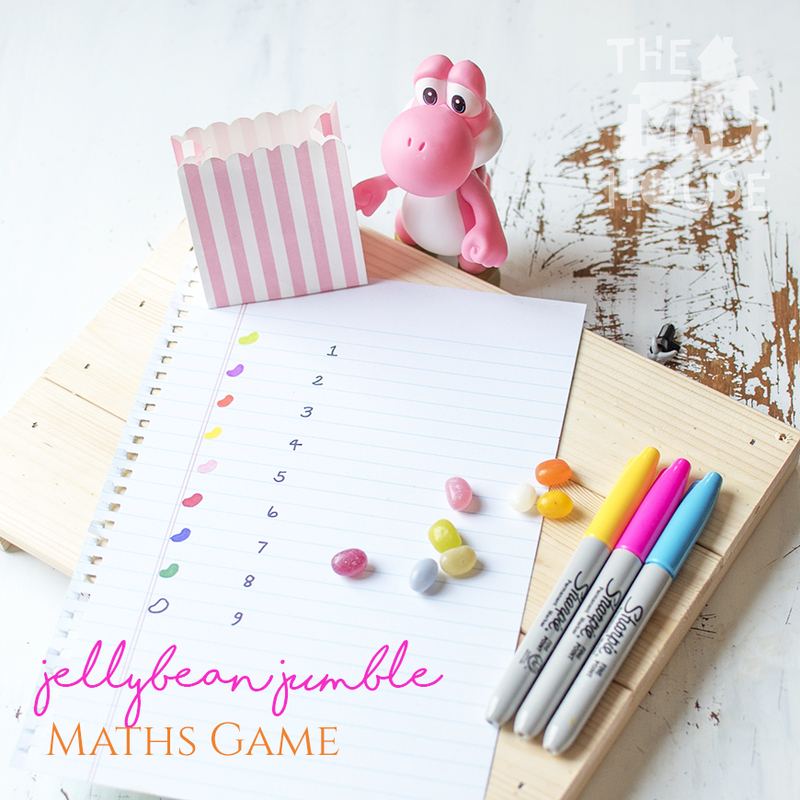 Review fractions or times tables with your kids with this simple game. Not only is it easy to construct, but you can customize the mathematical category and skill set! This game adds some motor movement and helps kids develop good counting skills. Encourage your kids to find new number patterns and customize your iceberg numbers to count by 1’s, 10’s, 20’s, etc. Kids take turns rolling the die and counting out the toy cars. Whoever fills their parking lot first wins! 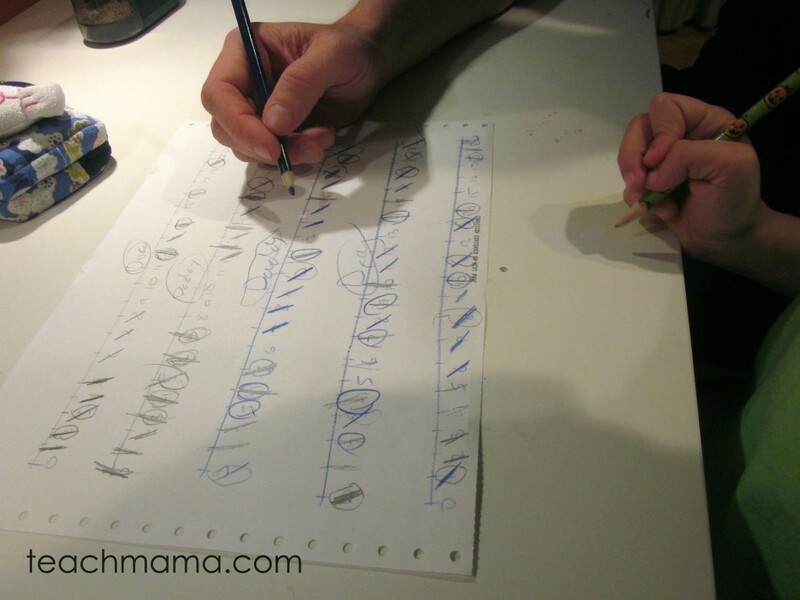 Number cups, paper, or another object and teach your child to place the correct number of clothespins on each object. Not only are they learning to count, but also utilizing their fine motor skills by opening the clothespins. Place different numbers and mathematical signs on wooden dice so that your child can jumble them up and roll them in order to create a new problem to solve. Make this game in a few minutes, and reuse for hours of skip counting! Use popsicle sticks in this game, and there are many options for play for different levels. Play Dough Subtraction Smash – Mama. Papa. Bubba. Make balls out of playdough and your own set of cards with subtraction problems. Then have your child smash the playdough balls that you need to “take away”. It’s simple, hands-on, and fun for the kids. Simply use your household set of dominoes to set out for the kids and watch them add up each side of the domino to find their solution. 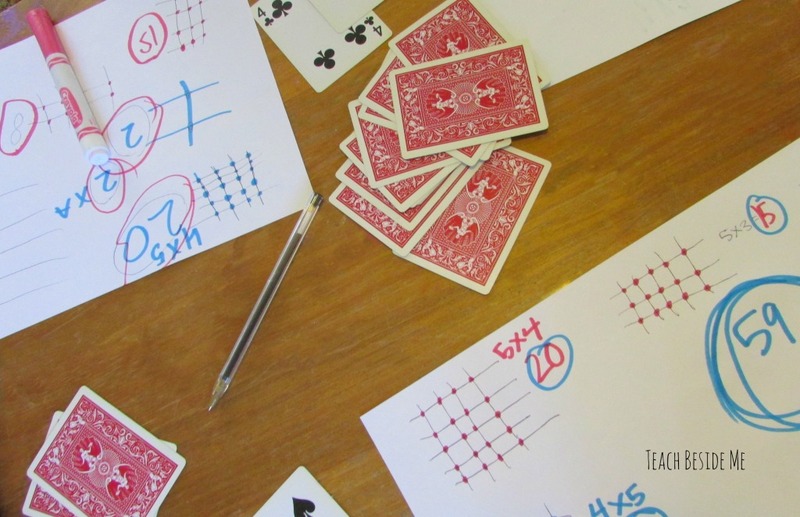 An easy and impactful at home math game. 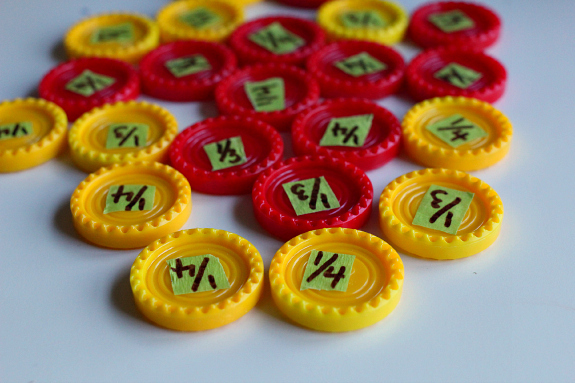 Upcycle bottle caps for this simple and fun math game you can play at home! Have your child create their own masterpiece with the bottle caps and then trace them to create the layout of the game. Then start rolling the dice and adding up with the objective of the game being to fill your “picture” back up with bottle caps! 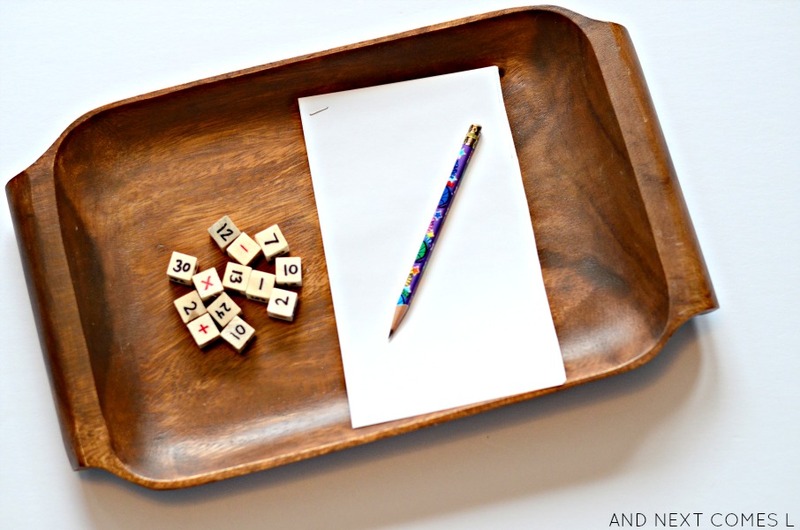 Use this simple game to learn the basics of addition and subtraction. The kids will love that they get to learn math on the baseball field! Use the fun game of twister to learn basic math problems and find the solutions to them! 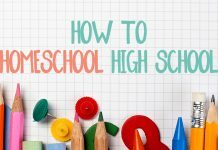 The kids will love moving around for this educational activity. 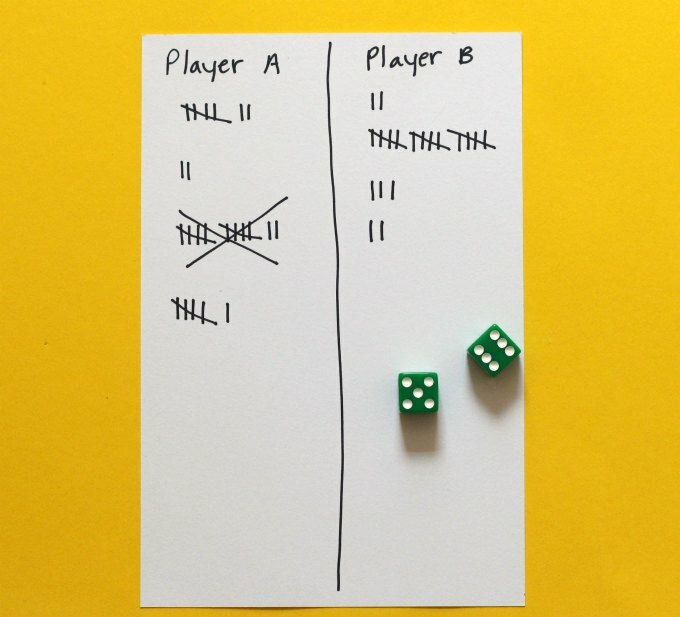 This isn’t your typical math game, but is something easy to do at home and a specific type of math that all middle school students need to master. Make it fun with this game! Use popsicle sticks to set up this simple math game that allows your kids to master their mental math skills! Help your kids set up their legos to start this fun and simple game that teaches fractions. This link includes more than one game that can work with your lego set up! Keep up the ten frame activities that your kids are learning at school at home with this lego set up! PIG Dice Game – What Do We Do All Day? This is a little more complex of an at home math game, but it helps the kids learn how to count to 100 and keep track of numbers. Use a dice to keep this game going and build your towers higher up to win! A simple and effective math game for first and second graders. Throw a beach ball around that you customize with your own numbers to teach addition to the kids this year! Another game for the older kids, but simple as well. Use a pen and paper to set up a number line and start the game to strengthen your mathematical and critical thinking skills! This simple math game helps you reuse egg cartons and learn the basics of addition or subtraction! Customize it to your skill level and have fun while learning! 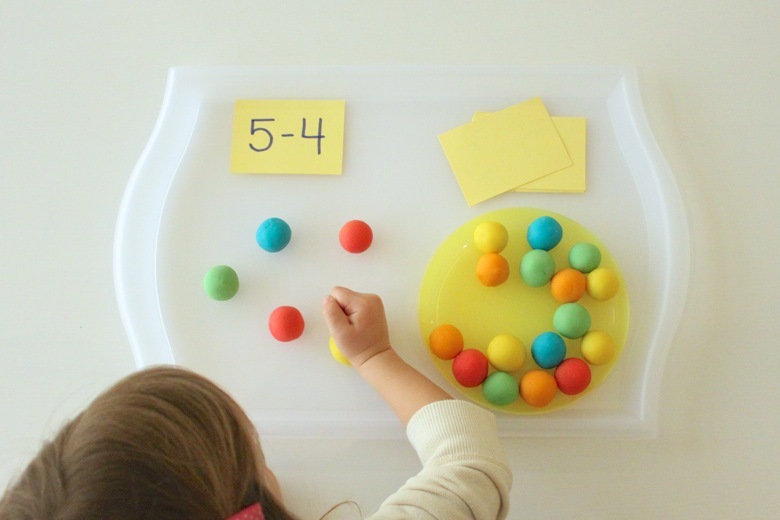 Learn skip counting and so much more with these few simple math games that the kids will love to complete since they can enjoy it as a snack afterwards!